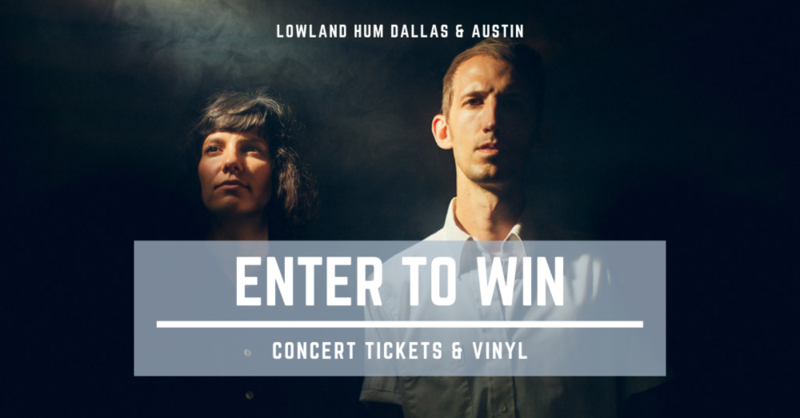 Enter to win 2 tickets to see Lowland Hum in Dallas or Austin plus their album on vinyl! Lowland Hum is an art-folk band based in Charlottesville, Virginia made up of husband-wife team Daniel and Lauren Goans. The duo has toured extensively since the band's inception in 2013 to support their two full length albums and one EP, and both their live show and studio releases have garnered critical acclaim from the likes of NPR, the Washington Post, American Songwriter and others. Lowland Hum's songs have been described as poetic and evocative, and their arrangements minimal, hushed and dynamic.